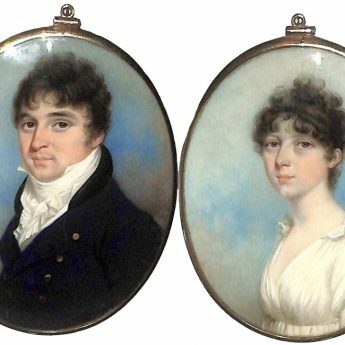 A handsome pair of portraits painted, in all probability, to mark the betrothal or marriage of this attractive young couple around 1795. 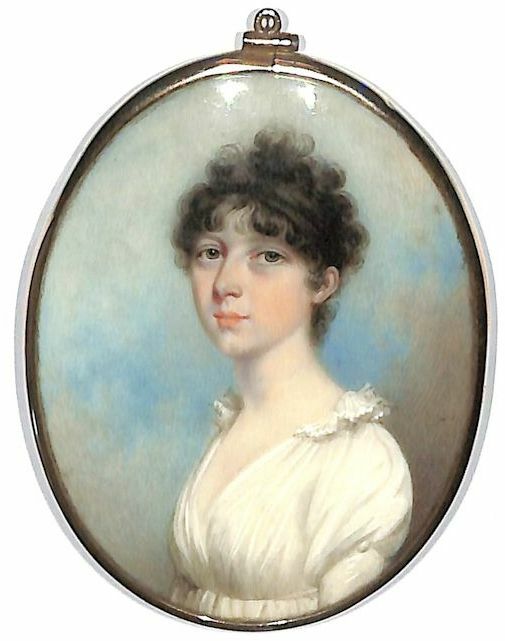 Set against a sky backdrop, the lady is depicted wearing a classic white dress with a frilled collar, a drawstring waistline and a buttoned sleeve. 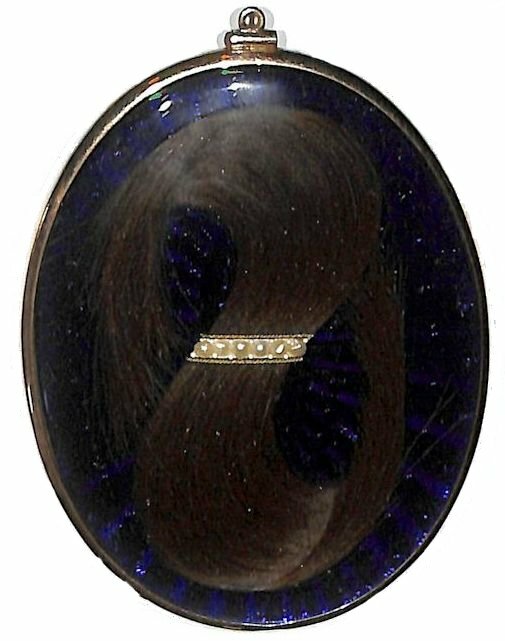 Her dark hair is worn in fashionable soft curls and dressed with a matching bandeau. 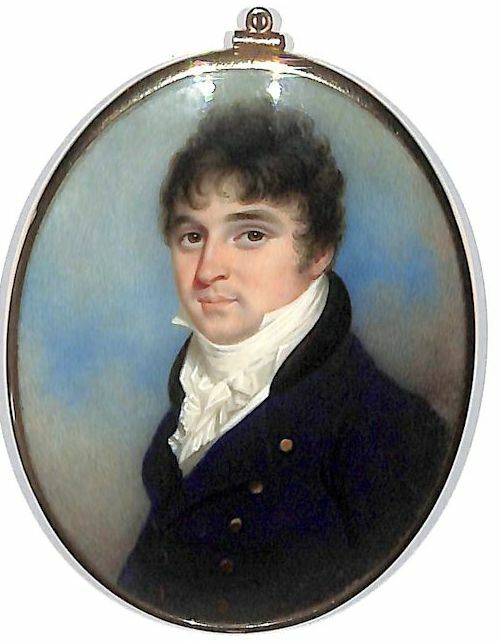 The gentleman is attired in a blue double-breasted coat with a black velvet collar and brass buttons over a white waistcoat, a shirt with a standing collar and a deep stock. 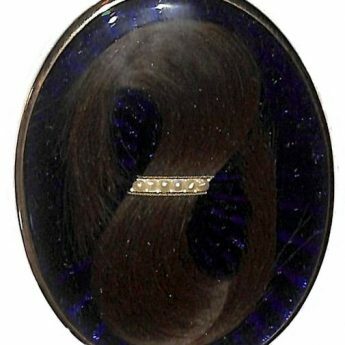 The portraits are presented in the original matching frames that are glazed on the back to reveal curled locks of brown hair decorated with a band of gold wire with seed pearls laid upon blue glass. 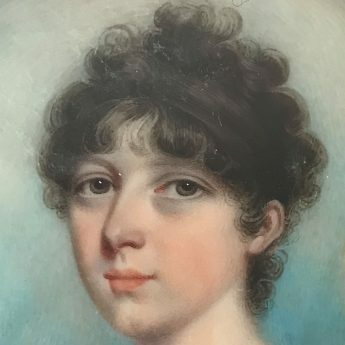 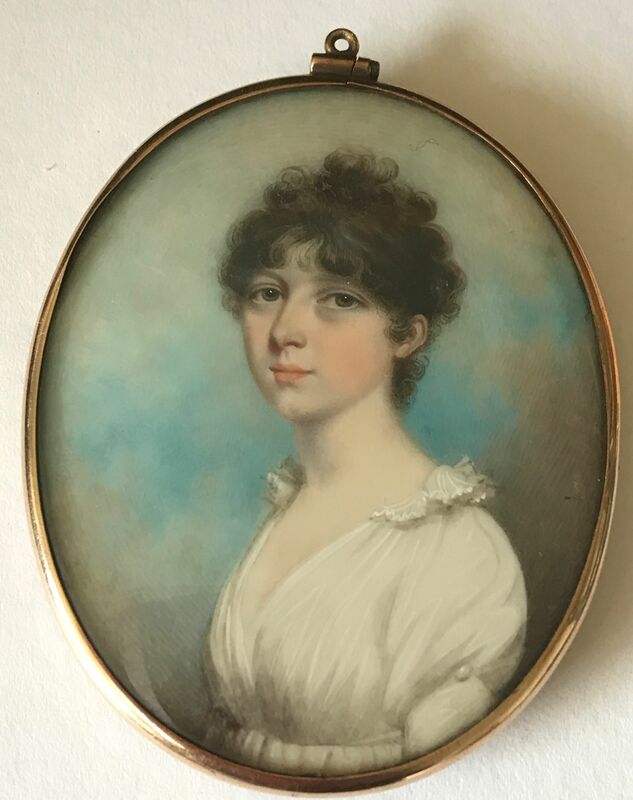 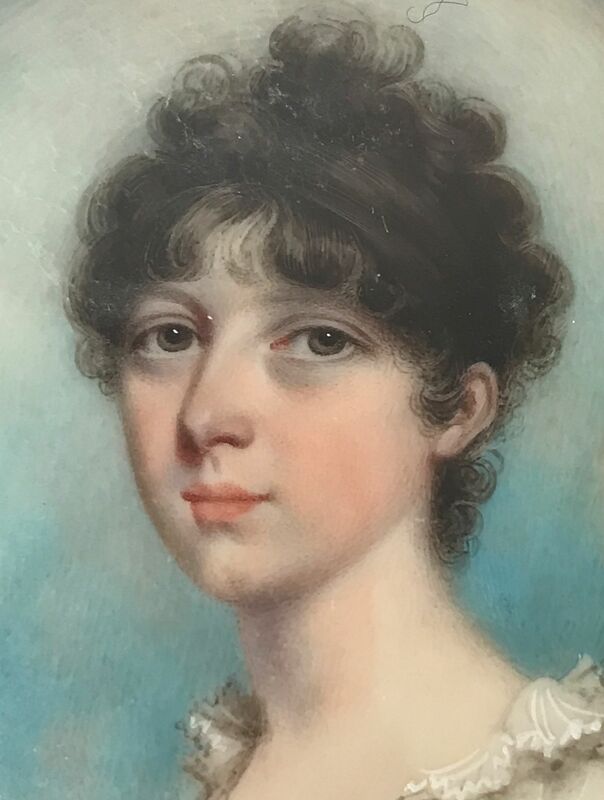 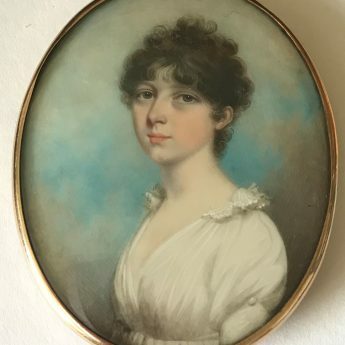 One frame (that of the lady) is slightly bruised on the outside edge and there is light dust on both but otherwise these miniature portraits are in fine condition with good colours. 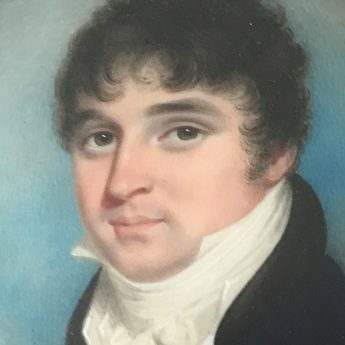 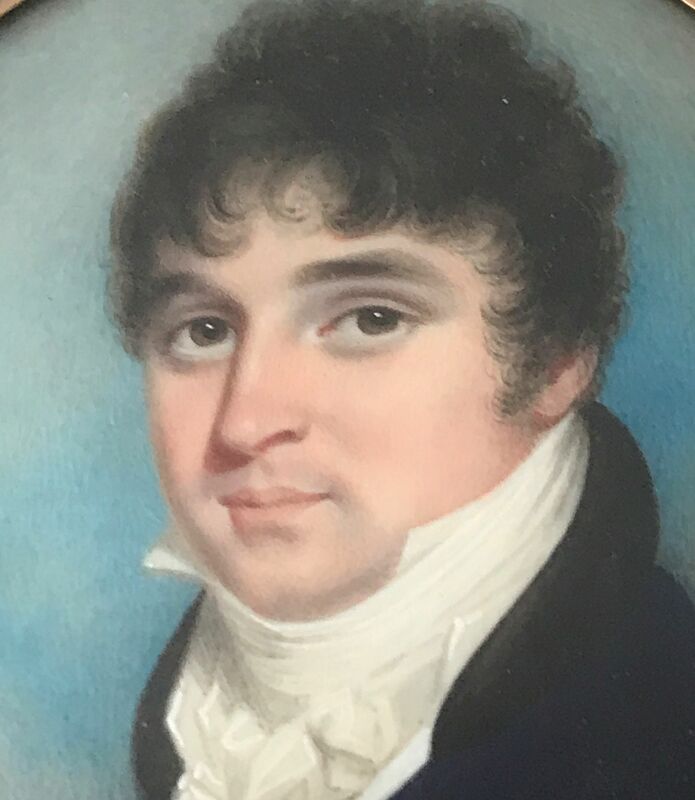 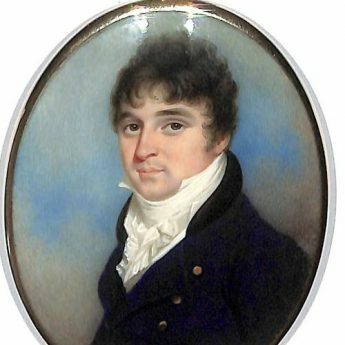 Recent research has revealed that Nicholas Freese was the son of a German merchant working in Birmingham where Nicholas was born around 1761. 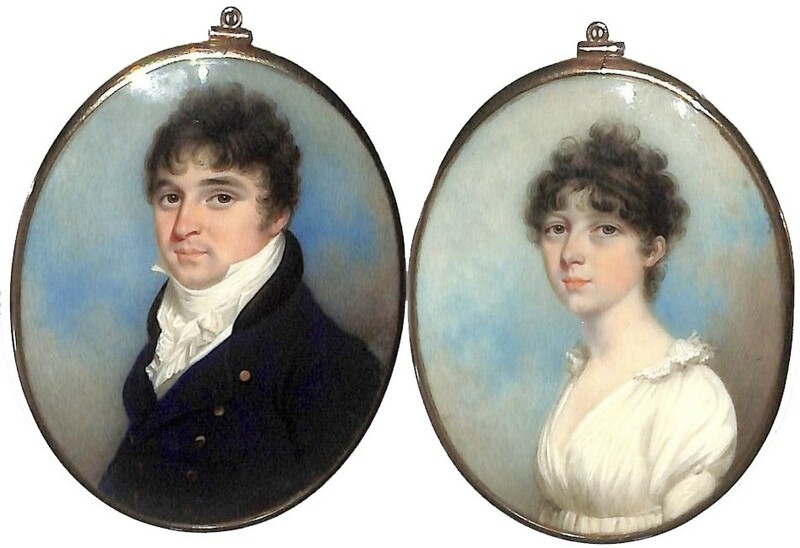 He subsequently moved to London where he studied painting and had a successful studio on the Strand.